To change the homescreen wallpaper is of course the easiest and most popular way of customizing an Android device. I usually copy entire folders with wallpapers in them from my computer to the Images folder on my Android’s SD card, and TechCredo hosts many large wallpaper collections. But there are several excellent apps in the Market that are just about downloading wallpapers directly from your phone. Let’s have a look at the top of these Android wallpaper apps. Zedge is a client for the Norwegian Zedge.net website. For many years, it has been one of the web’s premiere sites for cellphone wallpapers, themes and ringtones. Back when Android still only was an idea in Andy Rubin’s head, I visited Zedge.net from time to time – mainly to get themes for my Nokia devices. Zedge’s wallpaper Android app is slick and quite good. 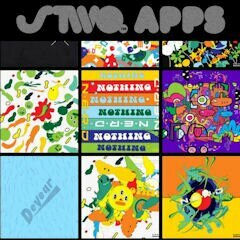 It most likely has the largest collection of wallpapers of these apps. According to Zedge, 6.9 million Android users have installed this application that also supports ringtones, notification sounds and alarms. This is actually an application that shows the wallpapers that have been created with the iOS design app Granimator. Many of the wallpapers are colorful and are therefore not suited to be behind the icons on your homescreen, because you’ll get contrast issues. Still, there are gems to be found in Grallery, and it gets points for being stylish and modern. Backgrounds by Stylem Media was one of the first wallpaper apps for Android, and it’s still one of the best. It features more than 10 000 backgrounds, but it hasn’t managed to get rid of that “early Android app” interface design, and could use some polish. AndroLib Wallpapers deserves to be mentioned, but it’s not as good as the wallpaper apps above. 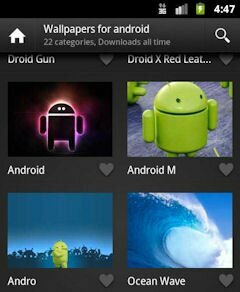 Do you know any more ways of getting new wallpapers directly from your Android? Hello every one. i have downloaded my cool ringtone for iPhone 8 from: https://www.ringtoneslab.com/ go get your coolest for free. Fly Punch is a live 3D animated wall paper which is also a game. 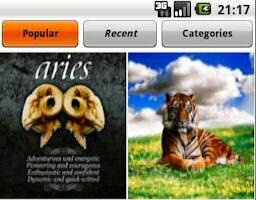 It is designed for Android platform v2.1 and above. The Fly Punch game is fun and simple, you can have up to 5 flies flying on your screen and you need to try and catch them. you can even set their flying speed. The game will count your score and remember your high score but you need to beware, if you don’t kill a fly for 30 seconds, your score goes back to zero!!! Check out Mandala. Used to be called nim/bim. Very trippy. Very clever.